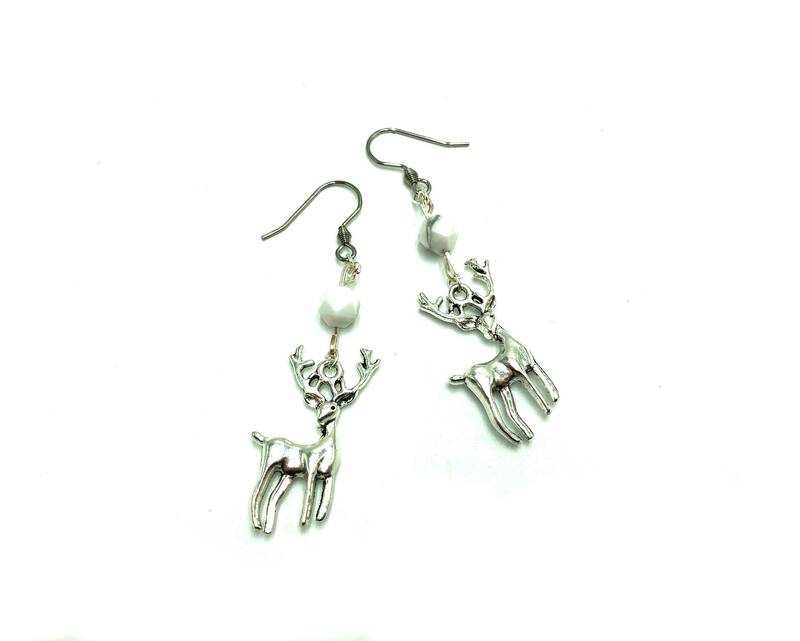 The reindeer earrings are lightweight and comfortable. Lead and nickel free. Stainless steel ear wire. Accent is a faceted marble stone.